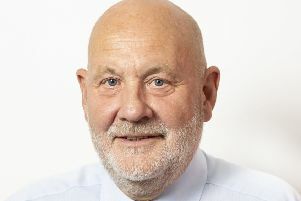 Former Comhairle nan Eilean Leader and Lewis businessman, Angus Campbell, has been appointed Chair of CalMac’s new Community Board. The ferry operator created the board to provide a voice of the communities on strategic issues. The creation of the Board was part of CalMac’s successful bid to operate west coast ferry services for the next 8 years. Angus Campbell said: “I am delighted to be given the opportunity to chair the new community board. “This initiative will enhance communication between the company and the communities it serves and will bring wider benefits to all. The chair is an independent, paid, post. The community board will meet twice a year and be separate from the David MacBrayne Board with secretariat services provided by CalMac’s Community and Stakeholder Engagement Directorate. CalMac will not be represented on the Community Board.